The Miami Heat is considered one of the better defensive teams in the league, and rightly so. 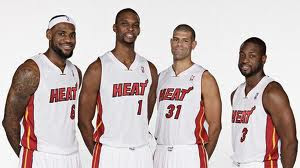 LeBron James, Dwyane Wade and Shane Battier are all elite wing defenders, capable of shutting down their opponents with relative ease. Udonis Haslem, Chris Bosh and Joel Anthony are their enforcers down low, playing physical defense to make shot making uncomfortable for the other team’s big men. All of this translates to a league ranked 5th best opponent field goal percentage, only permitting an impressive 0.425%. At a first glance this is an imposing statistic, dictating the prowess and expertise of the team to keep their rivals in check. What stands out and contradicts this statement about the Heat’s defense is their inability to contain the opposing 3-point shooters. Last season Miami guarded the 3-point line well, allowing an average of 0.345%. This defense placed them in the top 10 in terms of guarding opposing shooters. This season, however, the Heat has dropped to a dismal 23rd ranking amongst all 30 teams in the NBA. A 0.363% has hindered their ability to be a complete team, as many of their losses this season have come when opponents have made double-digit field goals from deep, in addition to shooting better than 0.400%. 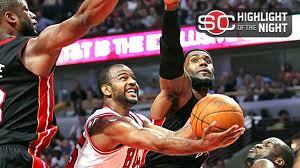 James, Wade and Battier are better on-ball defenders than they are team defenders. Not to say they can’t defend in a team concept; there are occasions where they lose sight of their opponent to help on defense rather than staying put on the perimeter. In their two most recent losses to Chicago and Orlando, both teams managed 10 and 11 3-pointers respectively. This wouldn’t be a huge issue if the Heat could match the 3-point production; they do not. On another note, the defense applied from the point guard position has been utterly atrocious. Over the last five games, the opposing point guards have combined to score 95 points on 0.625% shooting. Even with Derrick Rose unable to participate in the Heat’s most recent loss, seldom used guard John Lucas, who averages 6.0 points per game on 0.407% shooting in 12.1 minutes, managed 24 points. His play led the Bulls to victory, raising questions about whether the Heat are competent and complete enough on the defensive end of the floor to be successful. Miami has gone 3-2 in these games, which wouldn’t be concerning if the two losses had not come against Eastern Conference contenders. 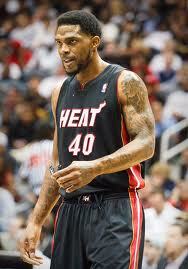 In summary, the Heat need to be a more complete team on the defensive end of the floor. Evidenced by the Chicago Bulls; they are one of the best defensive teams in the league, without many personnel that specialize in that field. Whether it comes from head coach Erik Spoelstra, Dwyane Wade, LeBron James or any of the Heat’s leaders, the team needs to come together and buy into the idea. If they do not, they will surely encounter another unsuccessful exit from the NBA Finals.